As part of the twelve days of blogmas I wanted to make some book themed Christmas ornaments, and I’m hoping to post one a day for the first twelve days of December. I wanted to start with these simple paper bird decorations, which require no origami skills whatsoever but look really cute when the are finished. They’re a perfect craft for children as they really are a five-minute craft. I’ve given my paper bird decorations literary themed by covering them with pages from a damaged book, but you could easily use coloured card and bright embellishments to make them appealing for children. Smear glue all over the one side of the cardboard and stick it to your book page. Allow this to dry then cut out the shape. Repeat this using the plain side of the card. Cut tear drop wing shapes out of the remaining paper. Edge the bird and wing shapes with the gold pen. Using the padded double-sided tape, stick the tear drop wing shape onto the side of the bird to give it a 3D effect. Make two small holes with the yarn needle and thread the bird for hanging on a tree, I found that two holes gives the bird better stability when hung on the tree. This entry was posted in Bookish Christmas, Craft and tagged birds, books, children, Christmas, crafts, upcycling on December 1, 2018 by Siobhan. According to tradition, St Valentine’s is the day that birds choose their mates, so I’ve decided to show my feathery friends some love on their special day by making them some Valentine’s bird cakes. I always make bird cakes for the birds in my garden using the RSPB’s guidelines for feeding garden birds (they have some helpful hints for an easy bird cake to make with children here) but have found that smaller birds are getting pushed out by the larger ground feeding birds who’ve managed to monopolize the bird table so wanted to make something the little birds could snack on that the big birds couldn’t reach. These hanging love heart fat balls (nice!) couldn’t be easier. Melt lard in a pan and stir in birdseed, oats and cheese. Press into moulds and pour a little melted lard on top to help them keep their shape before poking a plastic drinking straw through any you plan to hang. Using the drinking straw to guide you, push some twine through the fat ball and tie securely when the fat has set. String from a convenient tree and sit back and watch your birds, remembering to change the food frequently to prevent it going bad. This entry was posted in Craft and tagged birds, craft, environment, garden, nature on February 6, 2014 by Siobhan. Gerald is pigeon-toed, with an aquiline nose and crow’s feet around his hooded brown eyes- a caricature of an ornithologist. He even picks at his food. 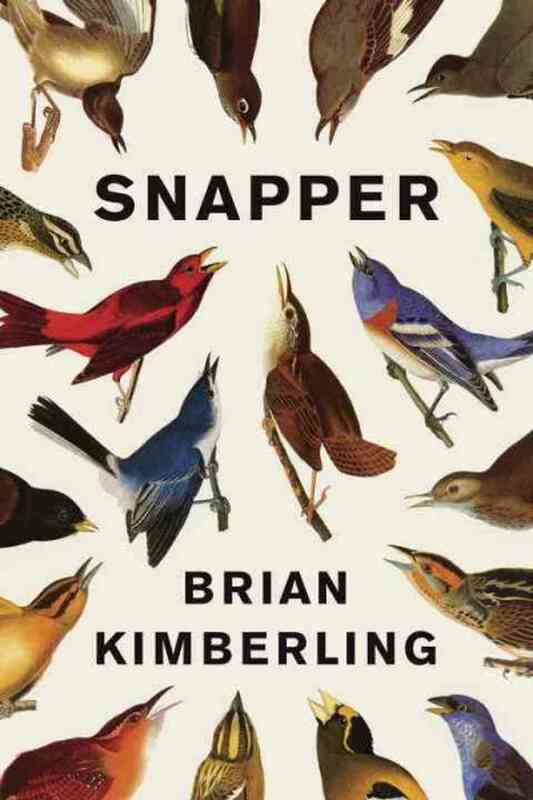 As much as I love birds and wildlife spotting, I hadn’t expected to really enjoy a book about a professional twitcher, but Snapper by Brian Kimberling is so much more than that and I found myself really warming to the story of Nathan Lochmueller and his upbringing in Southern Indiana. The beauty of Kimberling’s writing lies in his compelling characterisation; an uncle unwittingly wandering into a meeting of the Ku Klux Klan, a fundamentalist Christian who runs the sleaziest burger bar in the South, and truckers who write letters for Santa. The characters are weirdly recognisable, for all the improbable circumstance, and they are constructed with real warmth and affection. If you’re looking for a fast paced, plot driven read, then this probably isn’t going to be your cup of tea, but if you’re on the lookout for new writing talent with dark humour and a gift for language then this is definitely worth a read. Oh and watch out for the vignette that gives the book its name… brilliant. This entry was posted in Book Reviews and tagged birds, books on July 4, 2013 by Siobhan.